In the words of Bellini’s “Oh quante volte,” Giulietta desperately searches for her Romeo the night before her wedding to another man. While performing this aria—her most beloved—from the opera “I Capuleti E I Montecchi,” Weiser becomes “Guilietta,” with all the anguish and fervor of a tragic love. “I need to believe before I walk onto that stage that I am that character—where that character is at that moment, what they are seeing, what they are thinking,” Weiser says. A vocal performance graduate student in the College of Visual and Performing Arts, Weiser has grown up in music and has dedicated herself to her craft. The precocious performer turned her talents into a real-life opportunity at the age of 7, when she joined a semiprofessional children’s choir that toured internationally. She began her classical education and started studying privately with a voice teacher while she was in the fifth grade. 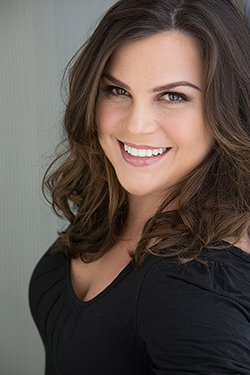 Weiser has performed in choirs most of her life and is also trained in musical theater, beginning in 2000 on the professional musical stage at the TriArts Sharon Playhouse in Connecticut. Her voice teacher, an opera singer, played a large role in her operatic development. “You can’t really start signing opera until you’re about 18, so that’s when I started singing arias,” she said. Weiser earned a bachelor of arts degree in music from Smith College, where she was the first vocalist to be awarded a concentration in performance to allow her to focus on her voice. 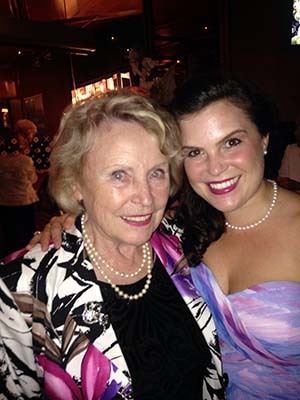 Her voice teacher at Smith encouraged her to study with a former student of his, soprano Janet Brown, a professor of practice in VPA’s Department of Applied Music and Performance. Brown recruited Weiser after seeing her perform, and Weiser later auditioned in Syracuse for other faculty. “Syracuse has opened a lot of doors to me, and they are very accommodating of my career and all the trips I need to make,” Weiser says. In fall 2013, Weiser performed for Ann Baltz, director of OperaWorks, a performance training program, who was on campus to teach a master class and workshops. Baltz invited her to the winter intensive program in Los Angeles, where she took audition training classes, voice coaching and dance, among other classes. Baltz also recently cast her in an opera improvisation performance at the National Opera Center in New York City. Weiser, who can sing in German, Italian and Spanish, has also studied at the Bel Canto Institute in Italy in 2011, where she trained under performers from the Metropolitan Opera. Last summer, Weiser was accepted into the opera and operetta studio of the American Institute of Musical Studies (AIMS) in Graz, Austria. After her audition in New York City, in which she performed “Oh quante volte,” they accepted her on the spot and she was awarded a full scholarship. Once in Austria, Weiser was cast in various shows and participated in daily classes that included acting, diction, voice and audition technique. Her performances, including one as a soloist with an orchestra, were all in German and had to be quickly memorized. “It was so demanding, but I learned so much from it,” Weiser says. The experience also introduced her to her role model, Austrian opera singer Dorit Hanak, who is an operetta voice coach with AIMS. “She is my mentor. I even call her my guardian angel,” Weiser says. Hanak cast her in performances and introduced her to directors and conductors. “We’ve become really good friends and learning about operetta from Dorit, who is famous for her work in operetta, is incredible,” Weiser says. 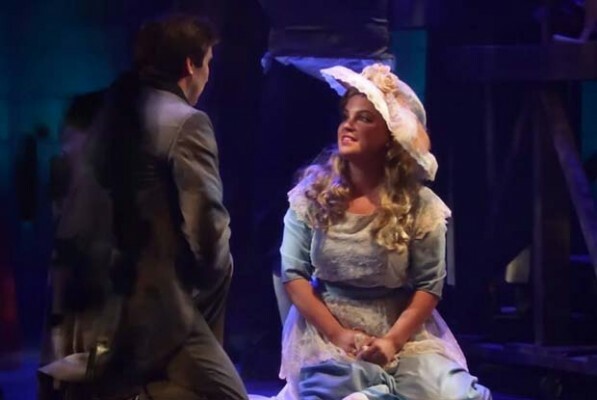 Weiser, who performed as Cosette in “Les Misérables” last summer in the TriArts Sharon Playhouse, also has a love for musical theater and the dancing that goes along with it. “My voice could go in different directions and I want to do all of it,” Weiser says. Weiser hopes to study at the University of Music and Performing Arts in Graz after Syracuse to continue to train in voice and become fluent in German. “The opportunities to start a career in Europe, where there are many more opera houses, are far better than in the United States,” Weiser says. As she completes her time at Syracuse, Weiser continues with her voice classes and travels every two weeks to her private coach, John Kolody, in New York City. This semester, she was also among a few students who gave a public performance for mezzo-soprano Stephanie Blythe, who came to the college to perform and give a master class. Weiser also sang at the Austrian Consulate in New York City in October and, in November, she was a finalist in the Civic Morning Musicals Vocal Competition. She’ll be giving a solo recital at the Everson Museum and its Civic Morning Musicals in March and will be performing with various ensembles. Her master’s recital is in April. Weiser was also recently invited by an Austrian conductor to perform there in May. She was hired to perform as a soloist with his orchestra, Musikkapelle Soedingtal, singing pieces by Austrian composer Robert Stolz. During all of her performances, Weiser, who won the University’s Aria and Concerto competition last spring, says she’s never really nervous, just excited. It’s something she was taught from her father when she was 5 years old—right before they were to go on stage at a community event to perform a duet from “Annie.” She told her father she couldn’t do it because she felt sick.